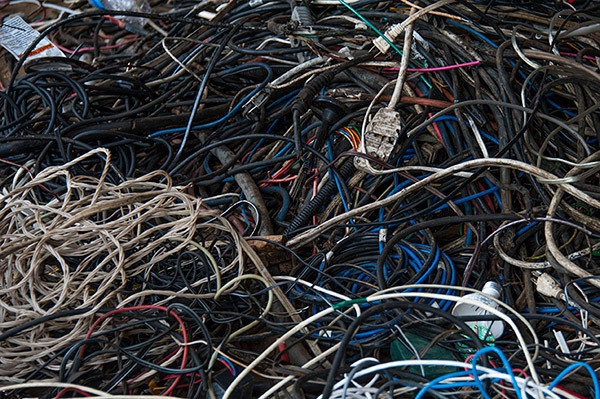 Not sure how to manage your scrap metal? It’s easy when you take advantage of Queen City Metal Recycling Scrap Management Program, available to industrial customers upon request. Effective management of your company’s scrap metal results in greater savings. Because there is a significant and ongoing need for scrap metal recycling in a wide variety of businesses and industries, Queen City Metal Recycling & Salvage works with recycling of scrap and surplus metals. Aluminum, brass, copper, lead and nickel alloy materials are just some of the types of materials we accept, as well as cast iron, insulated copper wire, plate and structural steel and all other types of ferrous and nonferrous metals. Queen City Metal Recycling & Salvage offers your metal scrap-generating business a cost-effective way to create a cash return on your recyclable resources. We are dedicated to working with you and your company, providing details about material preparation, quantity requirements, shipping, schedules and markets. Give us a call and let us explain how we can help you create a streamlined process to maximize the return on your recyclable scrap metal. Queen City Metal Recycling & Salvage can pick up scrap metals from your business on a monthly, weekly, or even daily basis. We offer roll-offs and self as well as trailers including: vans, flatbeds, low-boys and drop-decks. We also pick up smaller loads of material in our 24 ft. box truck. 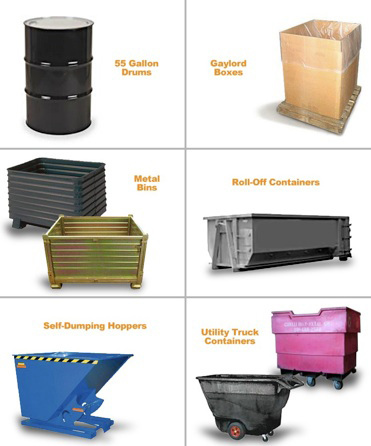 Most industrial customers utilize our 4x4x4 gaylord boxes or 55 gallon drums for their scrap metal. We also offer steel bins, plastic bins, rolling utility trucks, dump trucks, or we can even custom fabricate containers exactly to your needs. When our driver arrives at your place of business, he swaps out your full containers of scrap metal with empty containers. He also makes note of your number of containers and the type of metal inside on a receiving report receipt form with a serial number on it that is tracked and recorded on your payment check and settlement report for that pick-up. Brokerage And Trading: We can provide brokerage services for all ferrous and nonferrous scrap materials, both secondary and primary metals. For more information, please contact Steve Gilbert. Scrap Management: We can visit your facility to evaluate the recyclable materials that are generated and determine the most cost effective ways of handling, processing and transporting your scrap materials to insure maximum profitability. Environmental Compliance: Queen City Metal Recycling & Salvage has a positive approach towards conserving and enhancing natural resources and is fundamental to the scrap and secondary metals industry. We are committed to operating our business in an environmentally responsible manner that protects human health, natural resources, and the environment. We go beyond compliance with the law to integrate sound environmental practices into our daily decisions and activities. Demolition: We can provide demolition services and are now an SBA/HUB certified vendor. There are significant benefits associated with supporting a minority owned business. The SAM number is available upon request. Recycled Materials: We handle products such as iron and steel, nonferrous metals such as copper and aluminum, and precious metals such as platinum, nickel and many other alloys. The company’s scrap yard in Charlotte recycles tons of recycled ferrous steel a month. Ferrous Materials: A metal that contains iron. The most common ferrous metal is steel. Nonferrous Materials: Nonferrous materials are metals that do not contain iron as the main ingredient. Common nonferrous metals include aluminum, titanium, copper and nickel.